The background music is Pads 4, available here. .ZIP Files for ALL 12 Keys! You choose what keys you want to download. 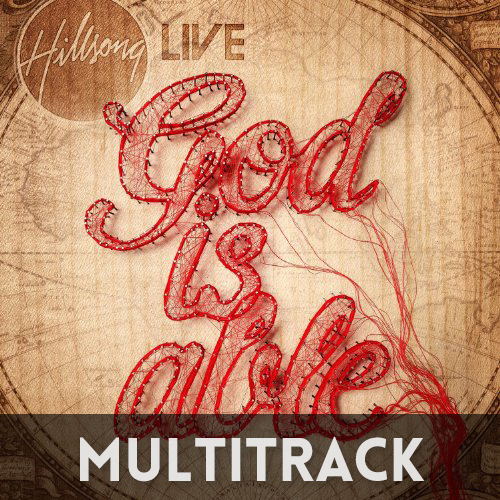 God Is Able is one of my favorite Hillsong songs to this day – extremely singable and fun to play. We have a lot of resources on this song including chord charts, tutorial video, multitrack, and mp3 downloads. My Brother In Christ Jesus. Thank you for all the music lessons and tabs you post and make available for nations. Your involvement in ministry will touch the world. You are a warehouse of Kingdom Resources and you use them to the Glory of God. Bless You My friend. Brian….Te digo esto en español, pero puedes traducirlo..
Eres una imortante, pero muy importante herramienta de Dios. Él te ha tocado sinceramente, y debo decir que la dedicación que dejas en tus trabajos demuestran ésto. Sin quererlo me topé con unos de tus videos (Mighty to save) en youtube, y quedé anonadado por tus explicaciones (explicabas hasta el string patron). De enserio eres muy buena persona, y si alguna ves quieres pasar por la Argentina, mi casa tiene las puertas abiertas para usted. Lo quiero y admiro mucho. Dios te bendiga. God Bless you Brother. Is there a way you could do river by Jordan Howerton Band it is a great song trying get that down. Can you share helix patch? Hi Joel – I actually used one of the base patches for this, but I can’t remember off the top of my head. The AC30 mk2 patch should nail this sound pretty well.